The Supreme Court rejected the Trump administration’s bid to enforce new restrictions on asylum in a terse order Friday. The vote was five to four. Chief Justice John Roberts joined the court’s liberal bloc to deny the government’s application, after a federal judge in California barred enforcement of the revised asylum rules. Justices Clarence Thomas, Samuel Alito, Neil Gorsuch and Brett Kavanaugh noted their dissent. As is typical of orders of this nature, there was no opinion. 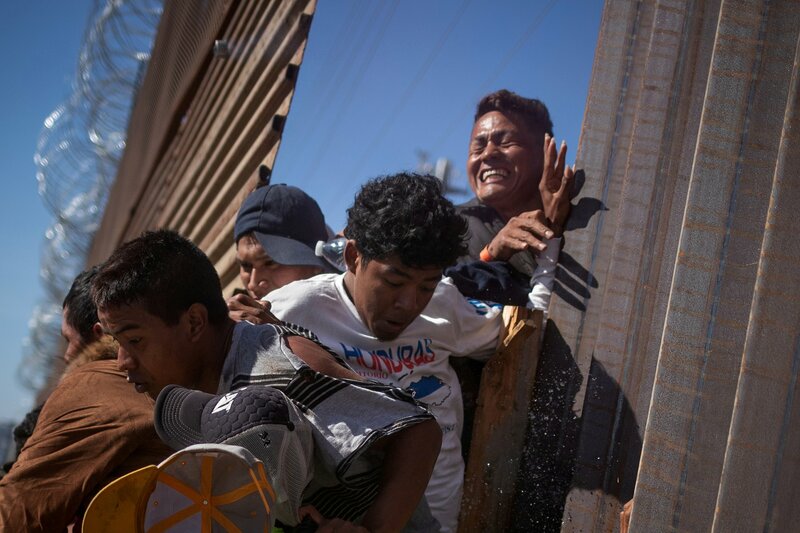 President Donald Trump and the Departments of Justice and Homeland Security issued the restrictions as migrant caravans coalesced near the U.S. border with Mexico. In effect, the rules provide that illegal aliens are ineligible for asylum protections. Federal law provides that any foreign national who “arrives in the United States, whether or not at a designated port of arrival,” may apply for asylum. Congress adopted this rule pursuant to federal treaty obligations under the 1967 United Nations Protocol Relating to the Status of Refugees. As such, critics charge that the new restrictions are directly contrary to federal statutes and international treaties to which the U.S. is party. “These measures are designed to channel asylum seekers to ports of entry, where their claims can be processed in an orderly manner; deter unlawful and dangerous border crossings; and reduce the backlog of meritless asylum claims,” Solicitor General Noel Francisco told the justices in court filings. U.S. District Court Judge Jon Tigar entered an injunction against those rules on Nov. 19. In response, Trump derided Tigar as an “Obama judge,” drawing a rare rebuke from the chief justice. The 9th U.S. Circuit Court of Appeals upheld Tigar’s decision on Dec. 8, prompting the government’s appeal to the Supreme Court. A coalition of former Republican politicians and Justice Department officials filed an amicus (or “friend of the court”) brief urging the high court to reject the administration’s application. Friday’s order was not a decision on the merits. Rather, the Trump administration was asking the justices to allow enforcement of its new rules while legal challenges proceed through the lower courts. However, the decision indicates that the government will likely lose if the high court is asked to rule directly on the asylum restrictions.